My deepest wound has become my greatest empowerment. When I was 13 years old I shut down my voice. In a moment of deep self-consciousness presenting in front of my class, I couldn’t find my breath, my chest began to constrict and I struggled my way through the rest of my presentation. I made a decision in that moment to stop speaking up, being seen or sharing my voice in a public way. It was just too dangerous. And for 10 years, that is exactly what I did. Being seen, heard or sharing my voice in public became my deepest fear, one that I would go to great lengths to avoid. Even just introducing myself in a small group or class would have my heart pounding and my chest constricting at the thought of it. Luckily when I was 22, my deep love for yoga and how it transformed my relationship to my body was enough for me to want to overcome this fear. Through pranayama, voice exercises, and allowing my body to become a vessel for the teachings I knew I was here to share, I overcame my fear one step at a time. I believe the obstacles we are presented with are here to lead us into our greatest empowerment. It’s like our soul chose to know what it is like to feel disempowered because we have a great soul mission to know and reclaim the opposite. Tantra embraces life as a paradox. There is no shaming the dark. In tantra, “life is not a problem to be fixed, but rather a gift to be embraced.” ~ (Sianna Sherman) All of it. I now see the difficulties and obstacles we face in our life as a divine opportunity to grow. To transform. To expand. To know what it feels like to be healed, loved and empowered. If there is anywhere in your life where you are feeling disempowered right now - in your finances… in your relationship… with your voice… Know that your soul came here to experience the exact opposite, and you are on the right path. The obstacle is here for you to grow. Your soul is creating the grounds for you to deeply know in every cell of your being what it is to be empowered in this. Last night after teaching yoga and singing with the harmonium, I had a student come up to me to let me know she had always dreamed of finding a class like mine. That something in my teaching, in my presence, and in my voice deeply touched her. I now know today what it is like to feel this empowerment, and using my voice as a teacher and leader is of the greatest service to the people I am here to serve and has also been the journey of my soul’s highest growth. In April I will be gathering with a group of women over 5 weeks to reclaim their voice, to know this deep empowerment, and to use their story and message to uplift and awaken others. I will be sharing all the teachings and practices that helped me stand in the role as the teacher and leader I am today. We will create a safe and nurturing environment for each woman to explore her fears and turn them into her own greatest empowerment. So where are you feeling disempowered? And what soul growth could your soul be leading you to? If you feel called to learn more about my series, join me for a voice activation women’s circle on April 5th. We’ll uncover unresolved memories, open the voice through song, and create a ritual (with the help of Mary Magdalene) for you to more fully step into your voice as a healer, teacher and leader. I’ve had both a challenging and exhilarating relationship with public speaking - from growing up absolutely dreading it and avoiding it at all costs, to discovering that when I am finally up there and doing it, I have a lot to share, and am been able to make a meaningful impact. Today’s guest Johanna Walker shares her story of growing up on the more shy and quiet side only to discover the profound presence and power of her voice on stage. She went on to craft a powerful talk about her journey of navigating grief after growing older and one day realizing she would never become a mother. It was through hearing another woman’s story that she could relate to that pulled her out of the grief and into a mission of telling her own story and supporting others to do the same. She now encourages all of us to tell the stories we never thought we would want to tell because of how much they may help someone else. There are many powerful take-aways in today’s episode ~ I hope you enjoy it. 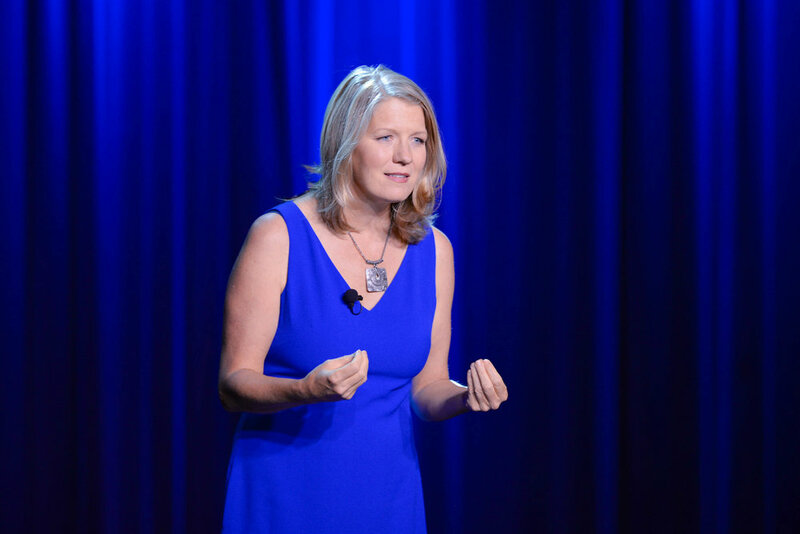 Johanna Walker is the fear-blasting, storytelling maven for coaches, consultants, leaders, and change-makers. She’s the founder of Women Who Speak, a transformational speaker coaching program for female leaders, and she’s the co-founder and co-host of Boulder, Colorado’s popular bi-monthly story slam series, Truth Be Told. In addition to her work as a speaker and coach, Johanna has written and performed solo theater pieces that she’s toured throughout the US and Canada. She holds an M.Ed. from Kent State University, an MFA from Naropa University, and is a certified WholeSpeak Public Speaking Coach. Many of us can easily get lost in self-doubt and “what-if’s” when we take a step into unfamiliar territory. Kelly Smith was no different when she was faced with a decision to move from a progressive city to a small town in Missouri with her husband while he finished medical school. She knew she was faced a choice - either she could be a victim to her circumstances and let her inner critic voices get the best of her, or she could make something truly amazing from the experience she had been given. Kelly went on to start the first yoga studio in the small town where many thought yoga was against their religion. She was able to rise up in spite of adversity and create a thriving space for people to align their mind, bodies and hearts. And most importantly, along the way, she learned to believe in herself as a teacher. In this episode Kelly shares how to move beyond fear and doubt to truly believe in yourself, your gifts and what it is you are here to share. Kelly Smith is the founder of Yoga For You yoga method and school and a master trainer. She is also a podcaster herself (she has a guided meditation podcast) and she started her first business when she was 23 years old. 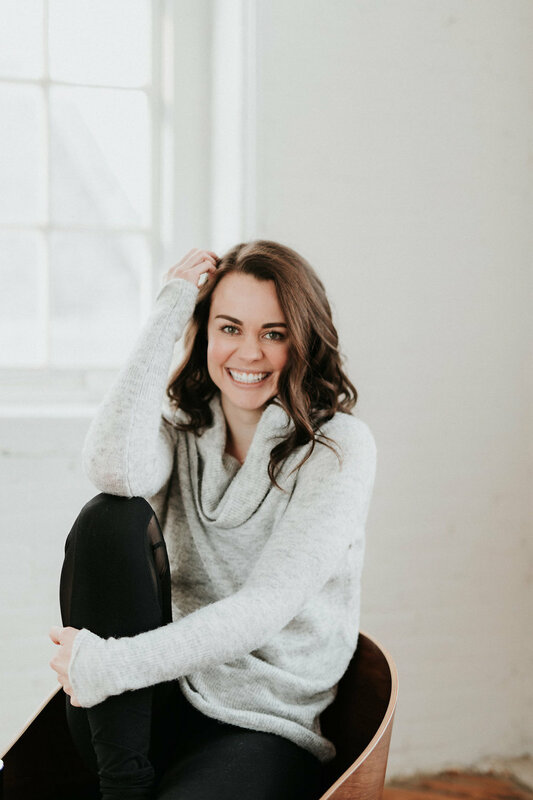 She works with empowering women and helping people become the best versions of themselves through yoga. She believes the mind is the most powerful thing you possess and there is nothing in this world holding you back except for you! After a life time of telling herself lies and believing that she wasn't good enough, smart enough, talented enough, special enough, thin enough, or just plain enough, she took a long hard look in the mirror and in her heart and decided it was time she connected with who she truly was, got out of her own way and started to finally live. Through yoga and meditation she got a glimpse of who she truly was, and it changed everything. She has dedicated her life to teaching soul-searchers how to master their minds and connect with their true selves so they can live an abundant and authentic life. Ever since I was a child I've been traveling to Northern Minnesota to visit my grandmother and spend time at my family's cabin on the lake. But a few months ago, my grandmother passed away after a stroke. I went back to Minnesota this summer, for a very different reason. To honor her passing, and to speak at her memorial service. I signed up to speak thinking I would be sharing stories and kind words to a few close family and friends. Then the night before getting on the airplane, I dreamt I would be speaking in front of many, many more people. I guess I wasn't surprised when I arrived in Minnesota to find out 150 people had RSVP'ed to her memorial service. (gulp). I hadn't written a speech, I didn't know what I was going to say, but I knew this was a divine opportunity, and I wasn't going to pass it up. I realized my grandmother was leaving me with one final gift, to share my voice. Somehow throughout my life, I have been put in situations again and again where I am invited on a stage to speak in front of many people. And almost every time it has scared the pants off of me. But as many of you know, over the last few years I have been coming more and more into the power of my voice. Again and again I have learned to trust in myself. So, the day before her service, the words came, and I knew what I was going to say. But this time, I welcomed it all. I breathed through it. I saw this intensity of energy as a reminder of my power. I told myself, I trust in my voice. While I was up there, it felt so natural. It felt like it was exactly where I was supposed to be. It felt like spirit was with me and I was honoring the divine gift of my voice. But what I didn't expect was what would happen afterwards. Person after person came up to me to say how my words had touched them. One woman even came up to tell me, "Your words make me want to be a better grandmother. Really." When a friend of my grandmother asked me if I would type up what I said and email it to her, I decided to also share these words with you too, because somehow, even though you probably didn't know my grandmother, these words feel important, and I think they speak to a larger message and maybe, it's a message you need to hear at this time. When my grandmother passed she began coming to me in my dreams. In every one of these dreams she was dressed from head to toe in one of her finest matching outfits, wearing bright red lipstick, as we all remember her. And in these dreams, she was holding a gift. It was carefully wrapped with my name on it. But in the dream I never actually got to the moment of opening the gift. As a child they were gifts of joy and sweetness. Of birthday cards, warm christmas cookies, blueberry and my personal favorite, chocolate silk pie. As I grew older she shared with me the gifts of dedication and attention to detail as she taught me how to sew and to knit. She showed me through her own love and commitment the beauty she could create with her hands. As a young woman she shared gifts of courage and strength. She showed me I could face my fears. I'll always remember the time my sister and I arrived at her house to her saying, "Girls, I think there's a mouse in my room, come help me get it out!" Grammy was already losing her eyesight at this point, and that mouse turned out to be a bat, hanging right on the edge of her bed. Grammy went to get a ski glove and told us to pick up the bat and throw it out the window. My sister and I looked at each other. "You throw it out! No you!" While we pushed the glove back and forth to each other, Grammy put on the other glove, picked up the bat and threw it out the window. "There's nothing to be afraid of girls!" she smirked. But in her passing, my grandmother gave me much deeper gifts, gifts of self-reflection and self-inquiry. In the final days of holding her hand, I remembered the preciousness of life. I remembered that one day I too shall pass. And I asked myself, "How do I wish to live?" "Do I want to be held back by fear or resentment?" "Or do I want to live each day with love, forgiveness, and generosity?" Am I doing everything I want to? Have I spoken up and told the ones I love how I feel? Is there anything I should let go of that no longer serves me? Is there anywhere I am postponing or holding back? I believe every one of us is here with a divine gift to give in this life. Are you fully honoring yours? Or are there dreams left unfulfilled? Or words left unspoken? My grandmother gave me many gifts in my life - gifts that went far beyond the physical and material. Take a moment to look around. Every one of us here have been touched by this woman's life in some way. And she remains to be an anchor in this community, bringing us together. Today, I invite you to reflect upon the gifts this amazing woman may have brought to your life and I ask you, to go out and share your gifts with others. The Sovereign Circle ~ Last Chance to Join! If you've been on the fence and want to take time to explore more about this opportunity sign up for a call here. If you are ready to step into the fullness of sharing your gifts, join us in this 7-month sisterhood. The program includes monthly private coaching with me ~ an intuitive, loving and supportive guide. Someone you can strategize with, address and clear limiting beliefs or blocks that have been holding you back so you can truly shine in the radiance of who you are and all the offerings you have to share. Have you ever gone on a trip to come back feeling like everything in your life just feels messy? I just came back from a trip to Kauai last week where I got to see dear friend Adriana Rizzolo, the featured guest on our podcast today. Even though my inbox has been full, and I am bursting with so many creative ideas that it's hard to know where to start, I'm learning to love the mess. To love everything that's arising. To be okay with everything just as it is. And this is something I love about Adriana - she carries herself with so much love and respect, no matter what the circumstances. In the episode Adriana shares about some pretty difficult hardships she's faced, including her story of healing from addiction and what happened when she lost everything she owned when her car was stolen. Last night I held my first book reading in Berkeley, CA at the community meditation house I used to live in. The living room was packed, and at one point people were even spilling out into the hallway! What happened there, was pure magic. I sang with the harmonium, told stories, answered questions from the audience and shared the first in-person reading from Synchronicity. It's amazing to think that only three years ago I never would have imagined my life would look like this. Singing and telling stories in front of a group? Me? I don't know if I would have believed you! However, what I've learned about my fear over the years is that confidence comes from actually going out and DOING the things that scare us. Confidence comes from taking action. It's only when we are in the non-action - the waiting and procrastinating that our minds run wild telling us stories that aren't even real. Every time I've done something that scares me, it always feels like a crazy leap of faith, but every time I have made the jump, I have been met with so much love, synchronicity and magic. Today I have a new Synchronicity book reading to share with you! It's all about Amma, service and finding my voice as a teacher. I'm curious what fear you have been hiding from? What small step could you take to walk towards it? Let me know in the comments below. There are just 10 days left in the Kickstarter campaign! I am so grateful to everyone who has gathered together in support of this project. Really, I had no idea my heart could expand with this much love. Every step of the way, I had to trust myself that I was ready. Through that trust, I have seen the universe open doors for me that I am ready for. I see women all around me answering the call to rise up in their power, their divine femininity and their voice. I have answered the call and am now encouraging other women to feed the flames, discover their power and stand strong in their voices. If you are out there and have ever felt afraid to speak up, afraid to sing, or afraid to share, know that you're not alone. I've been there and I can tell you from my experience: when opportunity comes knocking, trust in it. The universe is only going to present you with opportunities you are ready for; you can say yes, even when there is fear. Deep down, you know it is. All you have to do is say yes. Last week on tour...and music for you! A few days ago I shared a story about forgiveness, and how key that was for me when I went through a difficult breakup four years ago. The strength I gained from that experience pushed me forward to find true forgiveness, freedom, independence, and love within myself. As I let go, and focused on my dreams and visions, new love entered my life. I have always seen relationships as a beautiful mirror - showing us what we need to see in ourselves. For me, that reflection happened when I met a musician, Michael. Music was always something I loved, but growing up, didn't always feel I could excel in myself. I thought you were either born with a natural talent to sing and play instruments, or not. But when Michael and I started dating, he consistently encouraged me to sing with him and use my voice. I usually shied away from it, but last year, something shifted. I bought a harmonium and began learning to play mantras. I brought the harmonium into my daily meditation practice, and alone in my room, began to sing. I gave myself permission for it to not be perfect, and after a few short weeks, I was amazed to see the transformation and confidence I gained in my voice. With Michael's guidance and encouragement, I began to share with friends, and accompanied him at performances. When Michael and I planned our Vision & Voice tour, I expected to teach yoga, and only occasionally accompany him with the harmonium at our performances, however, that quickly shifted. We've been on the road for four weeks now, through Colorado, New Mexico, Arizona and the California coast - and are on the last few days of our tour. I know not all of you are able to make it to our events on the west coast, so I wanted to share a couple songs from one of our live performances in Ojai this week.